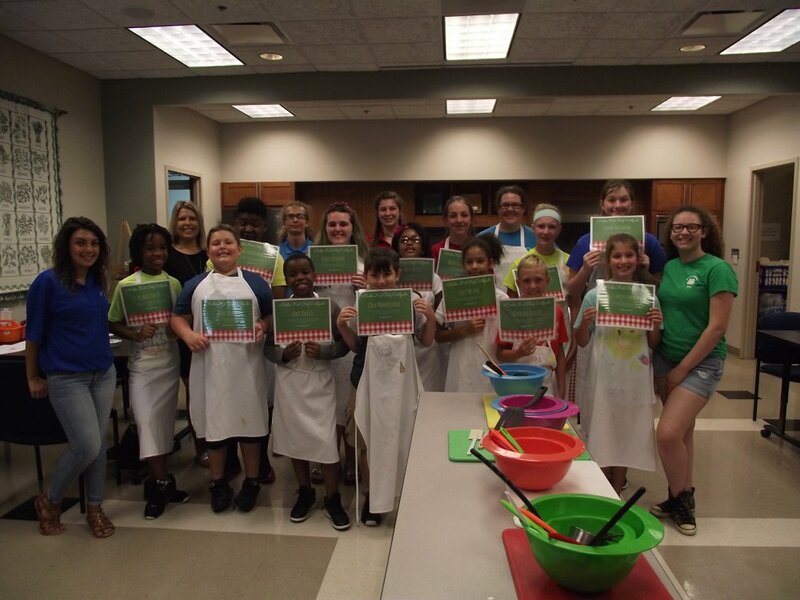 During the week of June 20 to June 22, kids participated in the Kid Chef program, a part of Union County 4-H’s annual Summer Fun camp series. This week’s program was designed to promote healthy living and safe kitchen practices through NC Cooperative Extension EFNEP Cooking with Confidence and MyPlate curriculum. This year, Kid Chef was designed around a cooking show competition allowing the campers to work together and work on their leadership skills. The campers were split into groups of three to four and were asked to prepare an appetizer, lunch meal, and a dessert. After completing each recipe they would present the dish to the panel of judges. This allowed the camp staff to get a feel for what recipes were favored as well as if the curriculum being taught was being retained and exhibited. To start the day, the campers would get into their groups and listen as the curriculum was taught. Each day consisted of two lessons including how to properly wash your hands, how to properly handle a knife, how to use a stovetop and oven, how to read a nutrition label, and how to properly break down a meal according to MyPlate. Each lesson was associated with a recipe that the campers would create later that day. The campers really enjoyed the hands-on learning experience of preparing food in the kitchen. They were encouraged to do things on their own and with their teammates allowing them to master the techniques taught to them earlier in the day. The cooking show atmosphere gave them a competitive edge and a reason to get creative with their meal preparation. Overall, Kid Chef was a successful Summer Fun program. Creating an environment where campers were able to learn by doing allowed them to retain more of the content given while gaining more understanding of why healthy living is important. By the end of the week, the campers learned how to cook with confidence and are now better-prepared master chefs. To view the album, check out our Facebook page at https://www.facebook.com/UnionCountyNC4H/.